Copy Rotation adding rotation to start position? 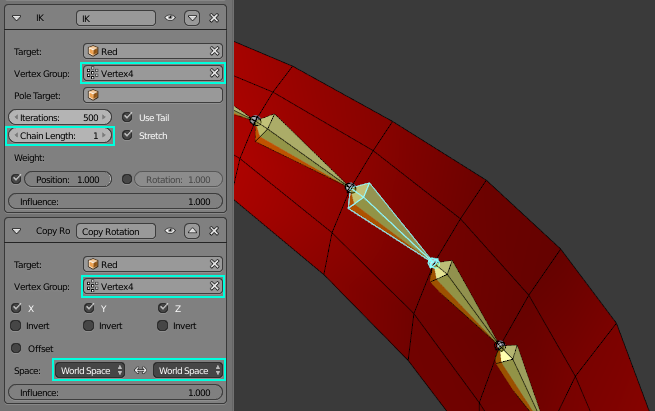 I am making a rig that transfers motion from one mesh to another via bones. This is for complex mesh hair strands. The base mesh has a cloth sim on it. 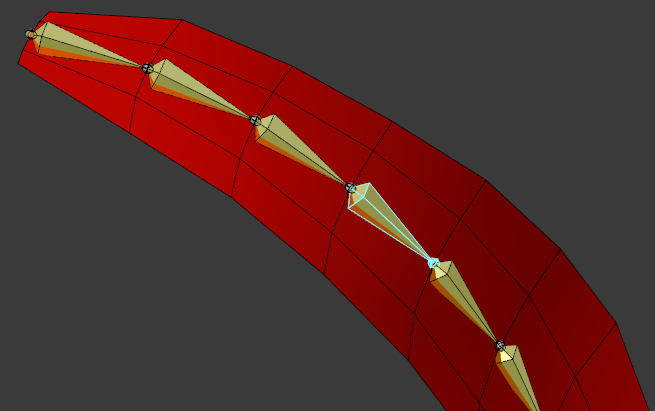 A Chain of bones are constrained to follow this mesh. Another version of the mesh is then driven by this bone armature. It works by having a vertex group of a horizontal loop at the top of each bone. The bone has a Copy Rotation constraint to this group, and an IK to the next group down (at its tip). The bones are not using inherit rotation. The copy rot is giving strange results. The bones seem to get ~45 degree rotation around local Y. There is also X and Z rotation, but it is overridden by the IK constraint. I am trying to figure out where this rotation is coming from, and how I get rid of it. I do not want things to rotate until the simmed mesh (red in this picture) starts moving. This problem occurs regardless of the Space I use for the Copy Rot. Different combinations of spaces give different results, but all are wrong. Where is this extra rotation coming from? In edit mode the bones were aligned with Ctrl+N > Cursor with cursor being in the center of mass of the bone chain. Vertex0 is at the root. The bones will not rotate until you simulate the red mesh now. 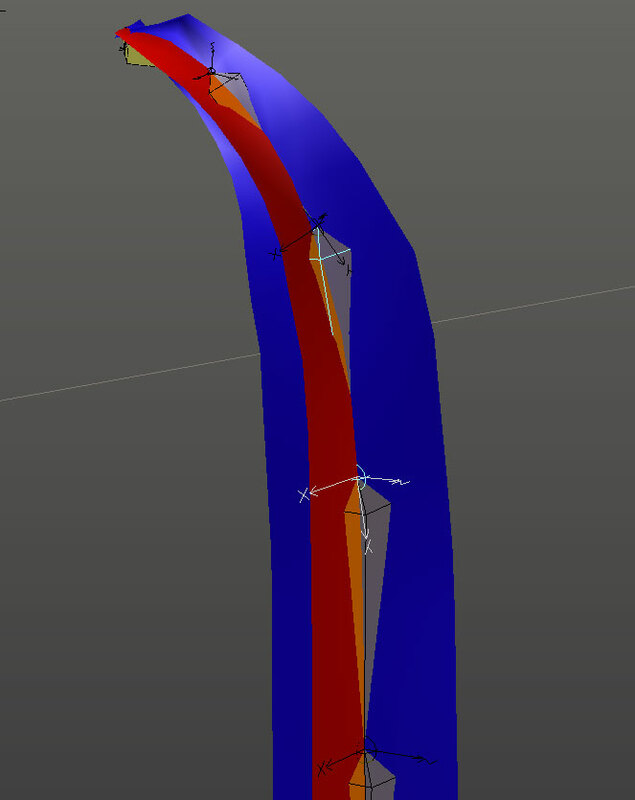 They won't follow the mesh perfectly (that's because vertex normals and how they work) but they will follow closely. 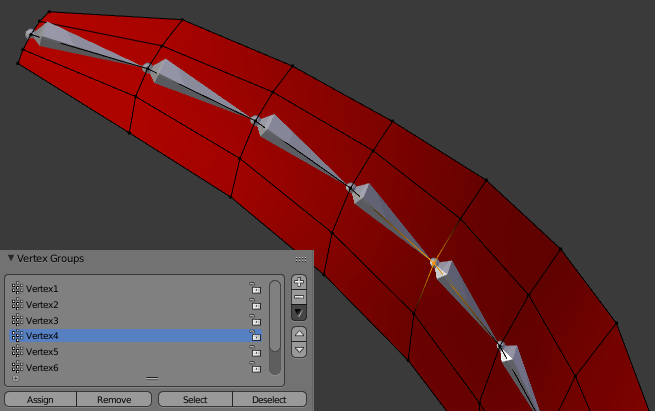 To make the chain follow perfectly the bones would have to target polygons instead of vertices (it's not supported, they can target only vertices - with vertex groups). Blender's IK seems to ignore the Inherit Rotation checkbox, how do I work around it?